Light and full of flavour. Perfect for Brunch, breakfast or a quick weeknight dinner. Place asparagus in Rectangular Steamer and microwave for 2–3 minutes. 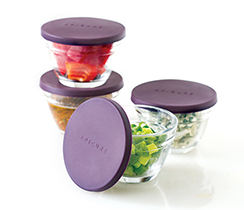 Fill 2 Prep Bowls (set of 4) with ½ C (125 ml) of water each. Crack one egg into each bowl. Cover each with lid leaving one edge open. Microwave about 1 minute until yolk is gently set. 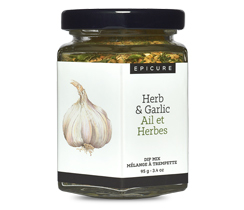 Stir breadcrumbs with Herb & Garlic Dip Mix, and set aside. 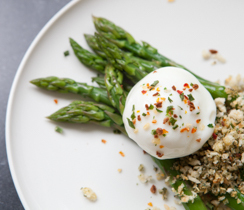 Divide asparagus and breadcrumbs between two plates. 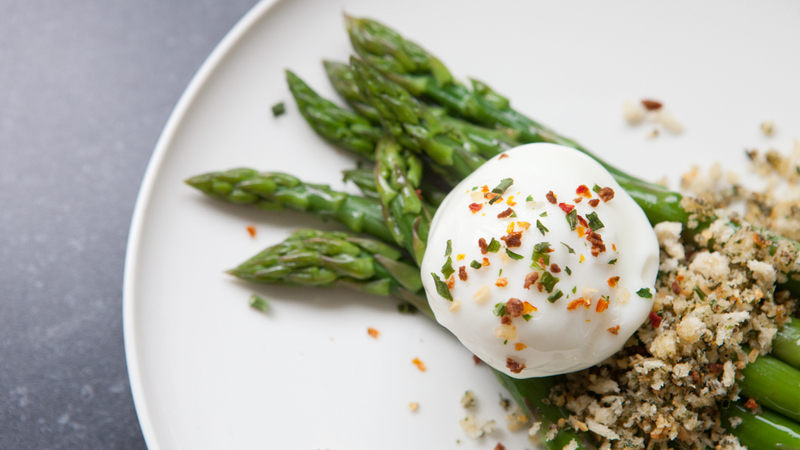 Place a poached egg on each and garnish with Smoky Bacon Topper and a drizzle of olive oil.